I experienced one of the most beautiful and most intense thunderstorms of my entire life last night. Once we realized a storm was approaching from the west, we disconnected all the feedlines and just watched it for 10 minutes. Lightning was flashing everywhere, and bolts were hitting the water. And then the rain started and it was like someone was dumping an entire city reservoir on my tent. I stayed dry, Will, AA4NC got a littke damp, but Ray, W2RE’s tent got soaked. His stuff is drying out on the dock. Despite the storm and the 59+30 crashes, I managed to pull out about 40-50 160m phone contacts out of the noise last night. Ray and I are going to switch off doing 160m CW and phone tonight and see how many more we can get. 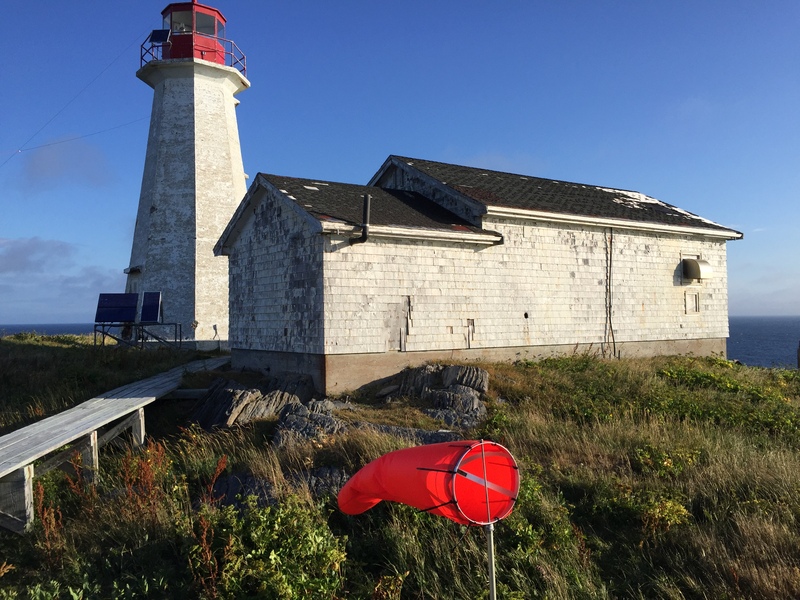 Alas, though, the weather forecast for Monday (Aug. 29) is rain all day, which would make tearing down and flying back to the mainland nearly impossible, so we’re going to start breaking camp tomorrow morning and we’ll be gone from the North East Point by tomorrow evening. The Atlantic Cove crew will be leaving the island tomorrow, with the exception of one or two guys who will supervise the loading of the boat on Monday (subject to change, the boat may come tomorrow instead). THIS WILL BE OUR LAST FULL OPERATING DAY. I’m going to try to get logs from Atlantic today and do a log dump, and then I’ll do the last ClubLog dump once we’re all on the mainland and I’ve got the last logs, then it’s all going to Murray, WA4DAN for processing. I’ll post one final update once I’m on the mainland. 73 for now de VA3QR/CY9. Just want to take a minute to thank you for your blog entries. Being an XYL of an operator on Altantic Cove, I really appreciate the time and effort you have taken to keep us informed on what was happening on the DXPedition. Your entries have been a blessing to me. TKS for a great effort to put St.Paul Island on the air. Special thanks to W2RE who pulled out my SSB signal for a new one on Phone. I am a guy who often doesn’t know which end of the mike cable to talk into so that QSO is much appreciated. I think you may have over-written or deleted most of your log on your last ClubLog dump. QSOs after August 21 1900 UT are gone now. They were there before. Sorry! ClubLog is okay now. Thanks for all of the QSOs! It was fun working you.